Bridlewood is the premier master- planned golf course community of Flower Mound featuring a mix of amenities, activities, schools and variety of home options that make it the perfect place to call home. And of course there are also the trees . . . whether driving down Bridlewood Boulevard, out on the golf course, or even in your own backyard, one thing you will certainly enjoy is the many native trees… your home to your own little part of the Cross Timbers. Bridlewood is located just minutes away from dozens of major new corporations including Toyota Motor Company, State Farm Insurance, Liberty Mutual Insurance, FedEx leaving hundreds of employees flocking to the area looking for Bridlewood Homes for Sale & Real Estate. Providing quick and convenient access to the cities of Dallas and Fort Worth, DFW International Airport, and numerous recreational opportunities, Bridlewood has emerged as one of the best place in North Texas to live, work, and play. With so many unique floor plans and home styles its easy to see why so many people are flocking to Bridlewood Homes for Sale & Real Estate. Bridlewood is primarily luxury custom pre owned, single family homes and is perfect for the first time homebuyer or a family looking to move up in size. 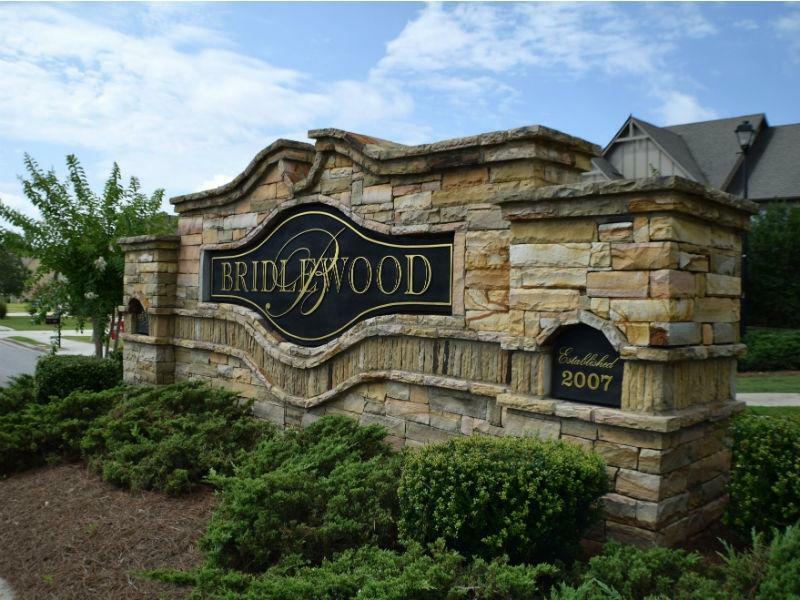 Bridlewood Homes for Sale & Real Estate range from around $300k to $2+ million. Information about Flower Mound Homes for Sale & Real Estate can be found calling or stopping by our office located just South of Bridlewood in Castle Hills. Stop by or call Renee Mears Realtors for a list of currently available homes in Bridlewood. When looking to buy a home in Bridlewood or sell a home in Bridlewood it is always best to use an experienced Bridlewood Realtor. If you are interested in Flower Mound Homes for Sale & Real Estate call Renee Mears at 972-489-0828. Big News! STEM ACADEMY is starting in Fall of 2021 at Bridlewood Elementary just steps away from this popular ONE-STORY Split Floor Plan w 4 Bedrooms & 3 Full Baths; UPGRADES: NEW AC Units 2015 & 2018, NEW Carpet & NEW Microwave; Wood Flooring, Brushed Nickel Ceiling Fans; White Kitchen w Granite Counters & Island, Butlers & Walk-In Pantries; Over-Sized Breakfast Area; TONS of Linen Storage Closets & Windows; Private Master Retreat w Huge Walk-In Custom Closet & Seamless Glass Shower; 2 Bedrooms w Custom Closets; Separate Private Guest Suite w attached Full Bath; Large Study in front w White Built-In Bookshelves & Classic French Doors; Low-Maintenance Terraced Backyard & Private Patio to Relax & Entertain in! 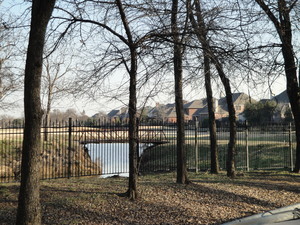 Walk to Bridlewood Golf Club for true Golf Course living! Lovely Huntington home with open floorplan & a generous living, kitchen & eating area. Elegant touches throughout - arched openings, gorgeous trims, moldings & a showstopping gas fireplace in main living area. Two 1st floor split bedrooms, one a spacious master suite complete with spa like bath & frameless glass shower. Generous room sizes & tranquil views of the gorgeous backyard pool from the kitchen & living areas. Great for entertaining! Study with fabulous built-ins located off entry for convenience. There are two more bedrooms, full bath and a bonus room on the second floor. 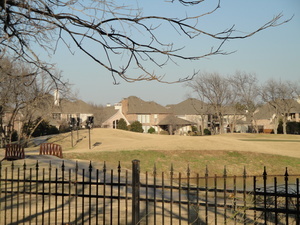 Close to shopping, restaurants, the Bridlewood Golf Club and DFW airport. Freshly updated & fully loaded Bridlewood home situated on rare golf course lot! Grand foyer with brand new dark vinyl plank floors and architectural touches opens to living, kitchen, & dining areas with views of the 11th hole and fairway. Gourmet kitchen boasts an island with wraparound granite counters and cabinets, walk in pantry, and Bosch SS appliances. Master suite has sitting area & spa like bath with dual sinks, jetted tub, separate shower & large walk-in closet. His & hers studies downstairs with French doors and a see through fireplace. Trendy white & grey color palette w tons of natural light. 3 bedrooms, gameroom, and bonus room upstairs. 3 car garage w large driveway with room for a boat or RV! Stunning views of Bridlewood's signature hole from the minute you step inside. Grand staircase opens to living and dining room. Super sized kitchen with ss appliances, dbl ovens, island and plenty of storage open to great room and wet bar. Guest bedroom downstairs. Master suite provides great view of the lush pool and bkyrd. And you'll have to buy more clothes to fill up that master closet! The 3 bedrooms up provide options. One could easily be a gameroom or flex space. Another has a balcony perfect to sit a spell with a cold drink while watching the golfers. Plenty of fun to be had this summer with pool and spa and lots of extra room to play. Welcome home to this amazing home with the best view on the course! Bridlewood beauty! Elegant lines & great curb appeal greet you at this 5 bed 4 bath Coventry home. Gorgeous handscraped hrdwood floors, neutral paint, granite ctops, SS appls, dbl ovens, gas cooktop, plantation shutters, lovely molding & ceiling details add to the charm. 3 split 1st floor bedrooms, spacious master retreat with view & access to bkyrd pool & 2 more lg bedrooms, one with wood floors, perfect as an office. Spacious 2nd floor gameroom, huge media room & 2 more bedrooms & full baths. Lovely views of relaxing pool, spa & waterfall from dining & living areas which are well suited for entertaining both inside & out. Tons of closet & attic storage. Great amenities - close to shops, dining & airport. STUNNING EXECUTIVE HOME!Located in sought after COVENTRY AT BRIDLEWOOD 14TH HOLE.EXQUISITE hardwood floors with subtle staining thru the first floor.CHEF'S style kitchen with professional Thermador 6 burner gas cooktop with Vent a Hood and double ovens, granite counters,MASSIVE island. Relaxing and private master retreat with sitting area overlooking the backyard oasis.Spa like master ensuite.Handy bedroom with attached bath on 1st floor.Upstairs features 3 bedrooms, 2 baths one is a jack and jill.Gameroom with french doors to balcony with stairs to pool.BONUS room.The PEACEFUL BACKYARD OASIS is a must to see in person. Pool with water features, spa, plentiful decking for entertaining with views of golf course. Must see this rare find! Charming 1.5 story located in highly sought after Bridlewood Farms adjacent to Bridlewood Equestrian center. Stunning kitchen w many upgrades including gorgeous granite, commercial grade gas cook top, dbl ovens and breakfast bar. Spend your days relaxing in the private backyard oasis, w pool, spa, outdoor living-kitchen and private full bath. Spacious bedrooms, including a large second master and bath downstairs separate from the other bedrooms, and tons of storage throughout. Side entry with direct access to the stairs leading up to a private living area, bdrm, full bath, and media room. Zoned for BW Elementary future STEM Academy.